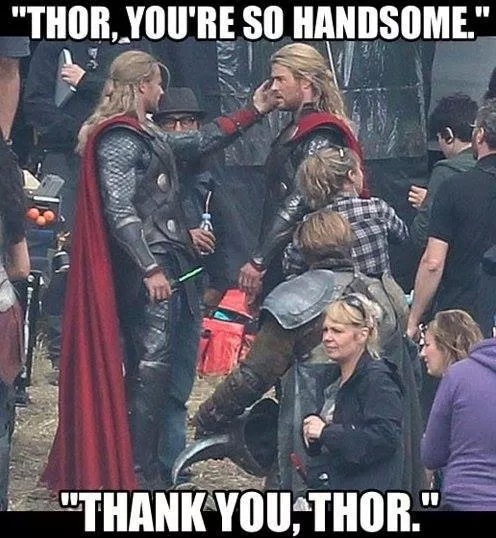 First and foremost, Happy THORsday, everyone! I hope you’re all enjoying your week. We are having some delightful, sunny, warm weather here in the good ole’ 802, and I have been loving it. My morning and evening rides to and from work have been beautiful. Now before we get down to the review, I want to remind everyone that Princess Lisa, Kimberly and I are hosting a #Chewsday healthy eating challenge for the month of June. We are each other’s Accountabilibuddies, and we’re posting our eats and struggles on Twitter using the hashtag #Chewsday. If you feel like joining in the fun, come find us at @PrincessRunners, @RaeisaDarlin or @Vixen1267. Hopefully, we can all help each other out. I know I personally have been making much better choices already because I know that they’re going to see whatever I post. Accountability for the win! As always, all opinions expressed in this review are my own. I was not asked to review this item and I was not compensated in any way for writing this review. I’ve never tried any other hydration belts, so I don’t have anything to compare to. I bought this based on Amazon reviews. I was originally looking at the Ultimate Race belt, but since the race belt by itself was almost $30 and each of the add-on water bottles was another $13, it only made sense to buy something where they all came together. The Fitletic/iFitness 16 oz hydration belt is what I ended up with, to the tune of about $43. The belt has 2 built in bottle holsters, with 2, 8 oz, BPA-free, dishwasher safe sport bottles. There is a neoprene pouch between them that has a little divider to keep keys/credit cards/ID separate from your phone. There are also toggles that are supposed to hold your race bibs so you don’t have to pin them to your shirt. I’ve used this on 4 or 5 long runs, and will most likely use it for my half at the end of the month. The belt stays in place–no bouncing or jiggling. Most of the time I forget it’s even there. I do wear it around my hips rather than on my waist, which may make a difference for some people. I have not had an issue with the bottles leaking. The sport tops don’t technically have a stopper–they’re open at the top all the time. I actually took the belt off and tossed it on the floor after my first use, and about 20 minutes later when I came to my senses (8 mile runs turn me into a brainless lump) I ran over expecting a puddle on the floor. There wasn’t one. Score! The main problem is that the pouch simply isn’t big enough. It barely fits both phone and fuel. Cramming both in there makes it impossible to access one without removing the other, and I always have to either stop or slow down when I’m rummaging around in there. There is an add-on phone pouch available, but that’s another $20, which would bring the total cost for the belt up to $60. I’m probably just going to buy a separate arm band that I can use by itself on shorter runs, and use with the belt on longer runs. I wish the pouch didn’t open in the middle. It just seems like a really strange design choice. Every time I open it, I’m worried that the contents will spill out. I think it would make more sense for the zipper to be on top of the pouch. I’m not sure that the bib toggles are all that useful. I wear this belt down around my hips, which means that my bib would end up down in front of my legs. I suppose if you wore the belt at your natural waist, you wouldn’t have this issue. The pouch is not waterproof. This isn’t a huge issue, because a ziploc baggie does the trick, but it would be a nice feature. Overall, I would say I’m satisfied with this hydration belt. It’s certainly not ideal, but for the price, I’ll continue using it for a while. If I decided to do more, longer races (which at this point is very likely), I may decide to try something else. I just hate spending a bunch of money on something and not having it work out, so I’ll probably just make it work for a while. Do you use a hydration belt on long runs, or do you use a handheld bottle, or another option? Unfortunately, I don’t have a lot of neighborhoods/parks around that have water fountains (that I know of), and my neighborhood is too small and crowded to run laps, so I’m kind of stuck with the belt. I’d never do a handheld cause that would make me feel unbalanced. Meh, that kind of weirds me out… Maybe I’ll give it a try someday when I get sick of the belt! I always picture an army of ants carrying the bottle off into the sunset, lol! I’m super spoiled by races and the face that I run along the Lake Front Trail, which has water fountains along it. Otherwise, I would have to figure something out, but I hate carrying bottles when I am running. One time I did buy a diet snapple mid run for the caffeine, lol, and stashed it to come back to. I think it would be harder certain places, but such is life. Indeed. I’d rather suffer the inconvenience of looking like a dork with a fanny pack than get dehydrated! I carried a small, handheld bottle during one super-hot 5K. It had a neoprene holster/handle thing so you could wear it on your hand instead of actually holding it, which I liked. The bottle was tiny though, and on a hot day on a course with not enough water, it wasn’t enough…even for just a 5K! Plus the heat from my hand made the water warm way too quickly. I’d be curious in trying a belt like this once I start running long distances. Thanks for the review! I thought about a handheld, but I feel like that would make me feel off balance. Plus, I already hate holding my phone in my hand while I run, so I’d probably hate a bottle too. I hate holding my phone too (or anything, really! that handheld bottle was out of desperation). I had an awesome armband but the velcro strap gave up the ghost about a quarter-mile into my last 5K. I’m now on a quest to find one that will survive more than a few months! My biggest concern with a hydration belt would be that I would notice it while I was running, so it’s interesting that you sometimes forget it is there. I’m actually thinking about getting one of those sport bottles with the hand thing (does that make sense?) for summer long runs. I’m probably going to wait a couple more weeks and see if I’m feeling more acclimated to the heat and less like I need to be carrying water. If not, I’ll probably get a bottle. I know what you’re talking about with the handheld bottle, and there’s definitely no way I’d forget that’s there! Here’s hoping you don’t need to bother! Very cool. I’ve never worn a belt. I should try it out sometime, but now I use a handheld bottle-strap thingy. It’s pretty helpful on my longer runs, especially because as I get tired and achy, I like to wiggle my fingers and shake my hands, which is hard if I have to carry something in my hands.